I'm new to Pilates. What is the best way to start? We recommend that you take private sessions first. The one-on-one attention you get in a private session will allow you to really learn the principles, and how the exercises should be performed. Because you will have shared your health history and goals during your initial appointment, you will learn modifications that might be needed for your body. And then, if you choose to do group reformer classes, you will not only be more comfortable with the pace, but you'll understand how to apply proper technique and experience greater benefits. If you are injury free, experienced in Pilates, and comfortable in small group classes, we do offer beginner level Pilates group classes. Click here to see New Client Specials. It's especially important to be consistent. The greatest benefits don't come from simply trying it once. Commit to successive weeks of practice for a least a month. Another tip, and this may sound simple, but it's important to be present. Your private or group session is time to focus solely on you. Your breath, and your being. Part of the experience of Pilates is creating this nurturing time for yourself in your movement practice. Poor posture and sedentary living: modern living frequently calls for us to be in stationary positions, whether we're sitting at the computer, driving, watching TV, playing video games or working at a desk. These activities require little or poor use of postural muscles. Stress, the dogma of modern living. In our hectic day-to-day lives, its easy to fall into compensatory patterns that are inefficient for our joints and muscles and, over time, could set you up for injury. Pilates primarily incorporates proper activation of the core, relaxation and breathing techniques and stretching. It also requires total concentration so you can execute accurate and organized movement. Practicing Pilates regularly helps you become aware of your patterns and puts you on a course toward efficient movement and injury prevention. What do I wear for Pilates? What result can I expect from doing Pilates? Is Pilates a good workout for men? Will I be sore from my session? I'm pregnant. is pilates for me? I have a bad back. Is Pilates Ok for me? Avoid oversized clothes. Dress comfortably in slightly fitted clothing so your movements are free and the instructor can accurately observe your body and form during the workout. Shoes aren't required, so you can leave them in a cubby. We require grippy socks. For our guys, no baggy shorts! Our male clients typically wear an Under Armour support short underneath regular workout shorts; or longer mid-thigh pair of shorts (like board shorts) or long slightly fitted pant. Expect to see an increase in flexibility, mobility and balance; improved posture; overall strength; and a decrease in back/other general body pains. You should also notice better core strength integration with our daily and recreational activities. Pilates has never been "just for women" and its benefits are certainly not gender-biased. In the 1920's Joseph Pilates, an avid boxer, swimmer and gymnast, introduced his method as a way to help injured athletes return to exercise and maintain fitness. The Pilates method has become well established in fitness and is practiced by athletes and celebrities such as Lebron James, Kobe Bryant, and Tiger Woods. They use Pilates as cross-training to maintain core strength, flexibility and focus. 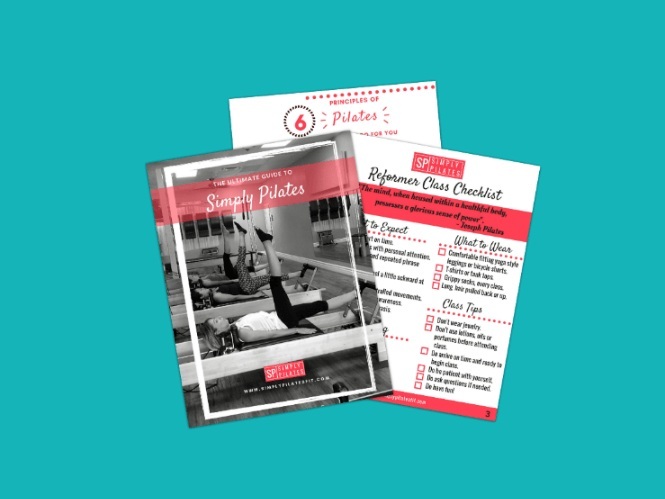 Want to introduce a man in your life to Pilates? Consider booking semi-private sessions so that you can work out together. Joseph Pilates said, "In 10 sessions you'll feel a difference, in 20 sessions you'll see a difference and in 30 sessions you'll have a whole new body". Results will vary based on your level of fitness and the regularity of your practice. It depends on your body and fitness level. Pilates doesn't fatigue the muscle to exhaustion. It uses movement, mental focus and muscle memory to build strength and body awareness. Your body is developing as you work to make new habits and change old compensatory patterns. As typical with other types of training, you may experience some soreness a day or two after the session. Pilates is safe throughout pregnancy. However, before beginning Pilates while pregnant, it is key to consult your Doctor. If you're currently in a Pilates program and become pregnant be sure to share that information with your instructor. Our recommendations is that you take private sessions when you are pregnant. Since your body is undergoing constant changes to accommodate the baby, personal modifications have to be made that can most easily be addressed one-on-one. Pilates is a non-impact and a gentle form of corrective exercise, safe and effective for most everyone. With your Doctor's permission, or Physical Therapist's recommendation, our qualified and experienced instructors will create a personalized program that supports and compliments your rehabilitative regime. Our instructors will provide exercise modifications to accommodate your needs, watch how your strength gains develop, and will continually challenge you within your range of physical ability. It is advised that you consult your Physician before starting Pilates or any fitness routine.